When someone says that you will never get a boyfriend they are basically just being mean. 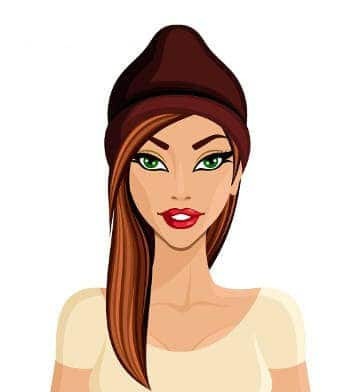 Unless the mean girl is a member of Psychic Friends, there is no way that she will be able to know what is in store for you or be able to predict the fabulous men (or women) in your future. Some people are just mean, small minded and petty. Don’t let the person get to you or listen to any of the rubbish they tell you. I am sure you will have plenty of wonderful relationships in your future. If you want to say something back to verbally slap the mean girl, who loves to create drama, use one of our clever comebacks below. 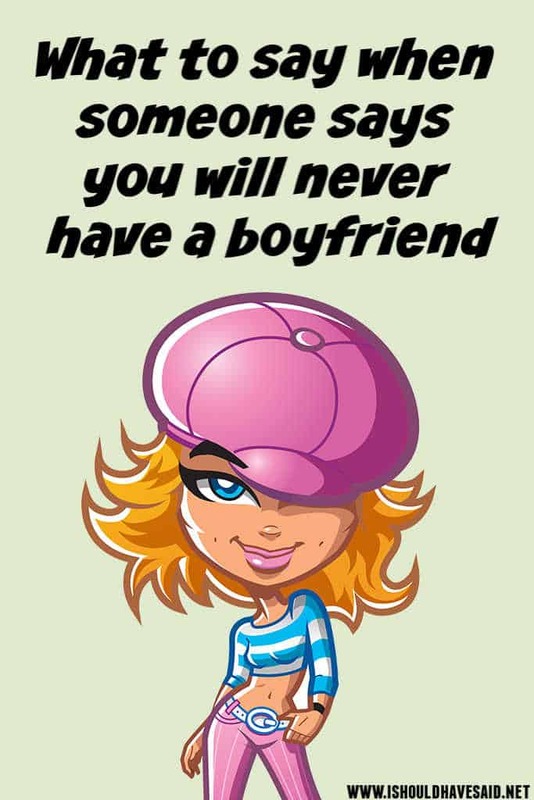 You will never get a boyfriend? And you will never have a husband .. . well not your own husband anyway. I hooked up with your boyfriend last night, but his was tiny. Who says I'm into boys? Pretty girls dont need a boyfriend..they have a few boyfriends. thats why you dated me?? ??? : You will never get a boyfriend. Me: And you won’t get one with that attitude of yours. Fortunately, I don’t need one. I won’t let boys turn me into a jerk like you let boys turned you into one. Me: Yeah I know, because I have a girlfriend. Them: Eww that’s so gay! Me: Awww, it’s so cute that you’re too stupid to know that people can like both boys and girls!